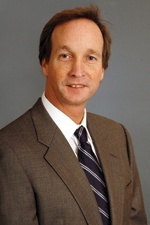 Desmond Hinds has over 30 years of experience as a civil trial attorney representing clients in the state, federal, state bar and appellate courts throughout California, though his primary region is Southern California. Desmond concentrates on complex business dispute and real estate litigation and the defense of professional liability, ethics and breach of fiduciary duty claims against lawyers, real estate brokers and agents and other professionals, including, accountants, insurance brokers and agents, property managers and appraisers. Desmond also has substantial experience in defending employers in litigation and trial on a variety of alleged statutory and common claims. He has tried numerous jury and bench trials in state (California and Nevada), federal and state bar courts and has represented clients in numerous private arbitration proceedings. He has been retained as a consulting and testifying expert on cases involving professional liability claims against lawyers and has qualified as an expert witness in the state courts of California. Desmond has served on the board of directors for a Beverly Hills based full-service real estate brokerage and for three real estate holding companies with commercial and industrial properties in the Southern California region. He has served as outside general counsel for a major Southern California residential and commercial real estate brokerage. Mr. Hinds joined Hinshaw in January 2004. He is a past member of the firm's Executive Committee and currently serves as Partner in Charge of the firm's West Los Angeles office. Prior to joining the firm, he was a partner with Haight Brown & Bonesteel LLP where he focused on professional liability, real estate litigation and transactions and business litigation. Mr. Hinds has served on the board of directors of, and as outside counsel for major California residential and commercial real estate brokerage firms. In a jury trial in the U.S. District Court, Desmond defended a prominent national law firm against charges of professional negligence. The plaintiffs, two Swiss venture capital concerns, claimed the law firm had failed to adequately document an investment in a publicly traded medical device company. After less than two hours of deliberations, the jury returned a verdict for the law firm. Desmond obtained a $4.8M jury verdict for private investors in a start-up internet service provider (ISP). Desmond's clients' had provided the seed capital and, after two years, the investors were told the enterprise failed. In reality, the profitable aspects of the business had surreptitiously been spun-off to a newly formed entity which operated profitably as an ISP for a decade before the fraud was uncovered. The verdict, which included punitive damages, was upheld on appeal and the judgment was paid in full. In the U.S. District Court, Desmond secured a defense verdict on behalf of a national law firm client on claims of legal malpractice, breach of fiduciary duty and fraud. The law firm had represented a well-known major league baseball player and his businesses. Plaintiff, a business partner of the ball player, leveled charges of negligence, self-dealing and conflicts of interest, asserting resulting damages of $15M. The jury rejected all of plaintiff's claims of attorney wrongdoing. In a legal malpractice case, Desmond's client received a 12-0 defense verdict from a Los Angeles Superior Court jury. The plaintiff- former client asserted the attorneys had negligently represented her in franchiser-franchisee litigation causing a loss of several million dollars. In a bench trial, Desmond represented a mortgage banking company against a bank for reformation of a buy-sell agreement. Judgment was entered for the precise reformation remedy sought by Desmond's client. As the prevailing party, the mortgage banking company recovered its attorney's fees. Desmond successfully defended an attorney at the trial of a malicious prosecution action. Mr. Hinds has successfully tried, litigated and resolved numerous other professional malpractice, fiduciary, business, real estate and employment cases throughout his career. He is equally proud of his settlement/resolution results as he is his trial victories. Mr. Hinds has lectured and given presentations on numerous topics, including attorney professional liability and ethics, real estate broker and agent liability, employment law topics, including the Americans with Disabilities Act (ADA).